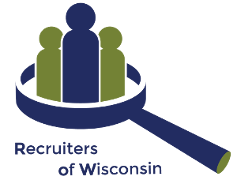 Free recruiter tips, training, advice and coaching available to members. Few recruiters have dedicated an entire career to recruiting or recruited while in College – Mark Rowbottom is one of them. Since opening his own doors in 1988, Mark has successfully operated various staffing firms, more recently Rowbottom Partners. Mark’s no-nonsense approach has won the admiration and loyalty of his firm’s clients and many candidates have become personal friends. In addition, the “Ask The Expert” section on the ROW site will allow you to access the invaluable experience of all our Board members. This is an advice column will address issues faced with both clients and candidates. You will get concrete solutions and suggestions that will benefit even the most baffled recruiter. At some point in time, we are all faced with problems and or challenges that stump us. In these new and unique problematic situations – where can one turn? ASK THE EXPERT: You need to understand that while problems that are occurring in your day may be unique to you, odds are we have seen it before. Let’s get real: You’ve had issues in the past – you will have them again. Let us give you the help you deserve so you can move on. You got a problem? Please send it to me and we will give you the solution. For more information on how to become a member of ROW click here.